On Friday 20th February, I met up with Andy VK4TH who is on a journey from Kingaroy in Queensland, down along the Great Ocean Road and up to the Northern Territory in his camper van. Andy, my wife Marija, and I had an enjoyable meal at a local restaurant in Mount Barker. I then showed Andy around the local area including the nearby Mount Barker summit. 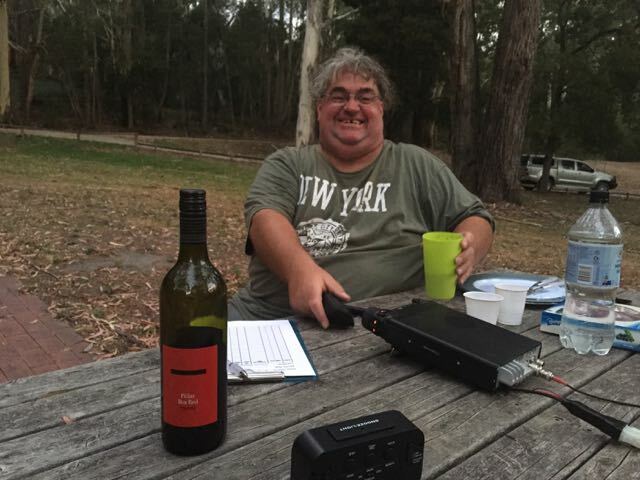 We then headed to the Mount George Conservation Park at Bridgewater, where we booked in to the 7130 DX Net and ‘played radio’. 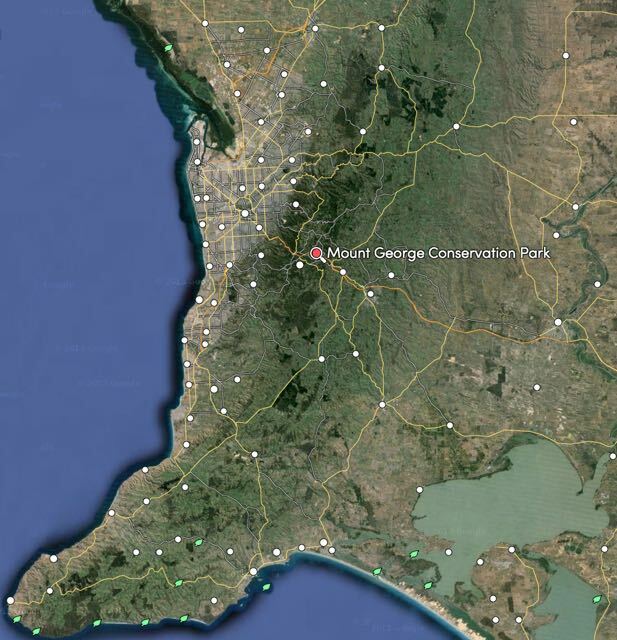 Mount George Conservation Park is located about 25 km south east of Adelaide, near the town of Bridgewater. The park conserves an area of about 85 hectares of important native vegetation. The park was originally 67 hectares in size, until the park boundaries were extended in 2003. A section of the famous Heysen Trail passes through the park. The area was once part of the tribal land of the Aboriginal people, the Peramangk. However, by the 1840’s much of the surrounding land was cleared for farming. Andy I set up at the end of Mount George Road in the picnic area. This is a beautiful shaded area, with nice lawns and plenty of shade from large gum trees. There was a nice wooden table and bench waiting there for us. So we took advantage of that and proceeded to set up the Yaesu FT-857d and my 40m/20m linked dipole on the 7 metre squid pole. For this activation we ran 40 watts. We had set up just in the nick of time for the commencement of the 7130 DX Net. I sat back and watched Andy in action working stations on the net, whilst we enjoyed a nice bottle of South Australian red and some cheesecake. It wasn’t real refinement, as we were drinking the red from plastic cups. Netherless it still tasted very nice! It was great to catch up with Andy who I have spoken to many many times on air, but never met in person. Andy is one of the Assistant Net Controllers on the 7130 DX Net. Andy was amazed with what can be done with a simple dipole and just 40 watts. Department for Environment and Heritage, 2006, ‘Mount George Conservation Park Management Plan’.